Getting your landscape ready for winter is important no matter where live. Regions with longer growing seasons and milder winters won’t have as much to do, but a fall landscape cleanup is recommended for all climates. In regions where fall signals the coming of winter and colder temps, you should follow a few fall landscaping tips. Your turf grasses are often the most susceptible, but shrubbery and perennial flowers should get some attention as well. Here are three simple landscaping tips for fall. Don’t mistakenly think you can stop mowing your grass just shy of the fall equinox. If left with scraggly tops, your grass can become damaged over the long winter. It’s actually a good idea to gradually shorten the length of cut towards the final mowing as well. If you use a mulching mower, this is a great way to put down a finely chopped layer of top mulch on your yard. However, be careful not to overdo this strategy. Too much can cause a thatch problem in certain grass types. Just be sure to get the leaves off, and give your yard one final clean cut before winter’s cold temps hit. Don’t think that your turf and shrubs sit dormant all winter with no need for food. A proper fall feeding with the right nutrients can help produce a lush lawn and vibrantly growing shrubbery come spring time. 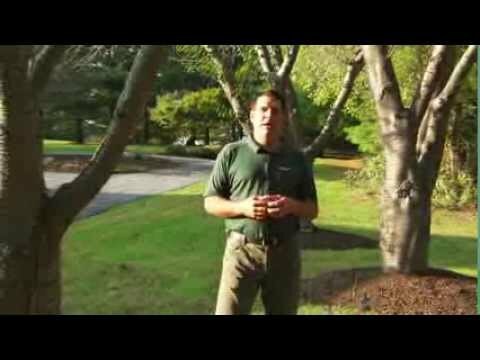 Check with your local nursery expert to learn what the proper fertilizer is for your area and your specific plants. It’s recommended you avoid fertilizers extremely high in nitrogen, focusing on strong potassium and phosphorus numbers to help build healthy root systems over the winter. Similar to keeping your grass cut tight, removing the deadwood from trees and shrubs is a good suggestion. Deadwood is a harbor for bugs and disease, plus it will inhibit the spread of new growth next season. Be careful not to trim back spring flowering shrubbery that has set buds for new flowers. Consult with a landscape professional on timing any fall pruning, but taking out deadwood can be done just about any time of the year. These are three very simple things you can do in the fall to help prep your lawn and landscaping for the winter. You’ll help reduce the effects of winter’s harshness, and have plants and grass that are ready to thrive come spring time.